Producer Marty Adelstein and his Tomorrow Studios company has optioned the rights to last year's indie hit Snowpiercer, to turn it into a TV series adaptation. The Hollywood Reporter reveals that screenwriter Josh Friedman (Avatar 2) has been tapped to write the pilot script. No network has been attached to the project at this time. Here's what Marty Adelstein had to say about bringing Josh Friedman on board. "We are very excited to be working with Josh on this incredible story. As such a prolific and innovative writer he is the ideal person to create a massive new world in this adaptation. This is an expansive, high-concept project and we are thrilled to be a part of reimagining it for television." Snowpiercer is based on the French graphic novel entitled Le Transperceneige by Jacques Lob, Benjamin Legrand and Jean-Marc Rochette. The story is set years after a global Ice Age decimated the planet, with the only survivors riding aboard a perpetual motion train known as Snowpiercer. Chris Evans stars as one of the working class citizens who starts a revolt against the elite upper class. John Hurt, Jamie Bell, Tilda Swinton, Ed Harris, Alison Pill and Octavia Spencer round out the cast. Snowpiercer only earned $4.5 million at the domestic box office, with the film debuting through video on demand formats just two weeks after hitting theaters. It performed much better overseas, with an international tally of $82.1 million. Joon-ho Bong made his English-language directorial debut with Snowpiercer, working from a script by Kelly Masterson (Before the Devil Knows You're Dead). Joon-ho Bong and Snowpiercer feature producer Dooho Choi are slated to executive produce the TV adaptation with Marty Adelstein, Becky Clements and Chan-wook Park, who served as executive producer on the feature. Tomorrow Studios is a partnership between Adelstein and ITV Studios. Here's what Josh Friedman had to say in his statement. "I couldn't be more excited for the opportunity. Marty and Becky are the perfect partners to help me bring this world to TV. I'm a huge fan of director Bong's films, especially Snowpiercer. It's great the way the best sci-fi is great - thoughtful, political, funny, scary and sly. And it's on a train. A big f-ing train. What more could you want?" Marty Adelstein's Tomorrow Studios produce ABC's Last Man Standing, NBC's Aquarius and MTV's Teen Wolf. Josh Friedman previously created the Fox series Terminator: The Sarah Connor Chronicles, and he has also written screenplays for Chain Reaction, War of the Worlds and Black Dahlia. 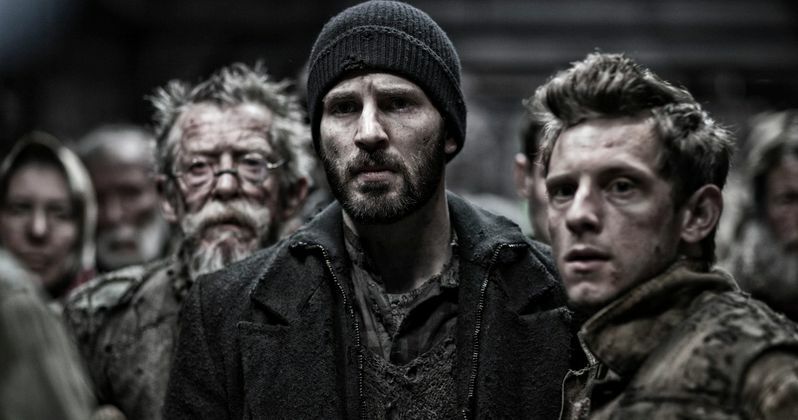 What do you think about Snowpiercer moving to the small screen? Snowpiercer Will Be Released Uncut in the U.S.